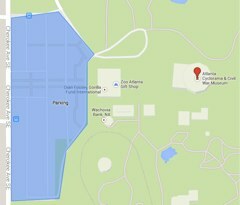 The Cyclorama is located at 800-C Cherokee Avenue, Atlanta, GA 30315, next to Zoo Atlanta in Grant Park. Parking is free. Admission tickets to the cyclorama are sold at the entrance to the building. Check days and hours of operation before visiting. 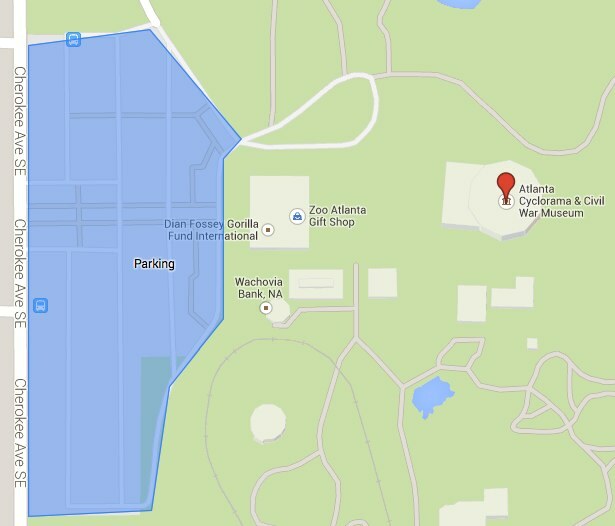 The Cyclorama shares a large parking lot with Zoo Atlanta, as marked in blue on the map below (click for a larger version). Parking is free. The Cyclorama is marked by the red pinpoint on the map.